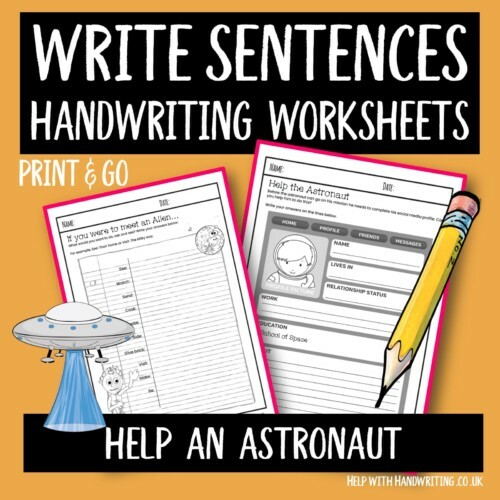 Handwriting activities can take on many forms. 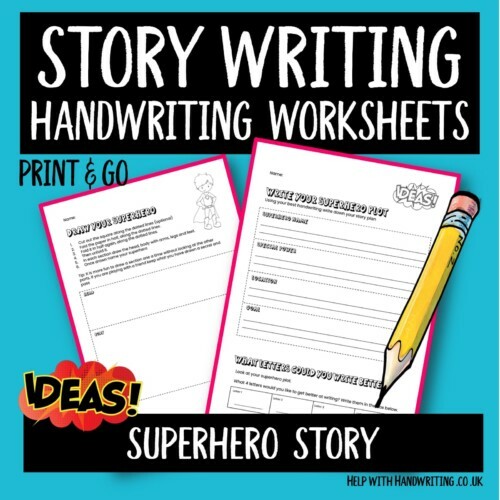 Here you will find word finding activities, sentence writing, paragraph writing, story writing, search and write activities as well as daily handwriting practice worksheets. 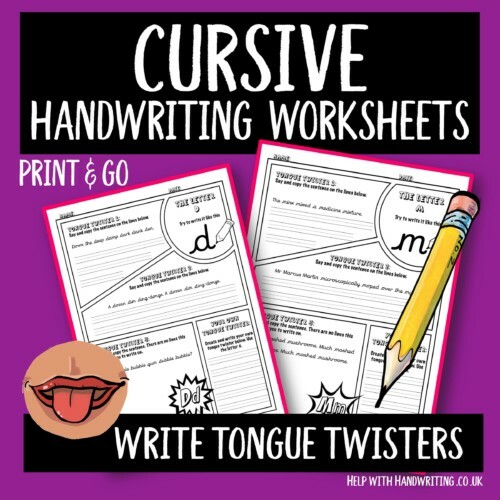 If you are looking for alphabet practice look at my letter formation category. Use these most used words in the English language to help write neater and clearer. This workbook is part of the write faster series and covers the words 201 to 300. 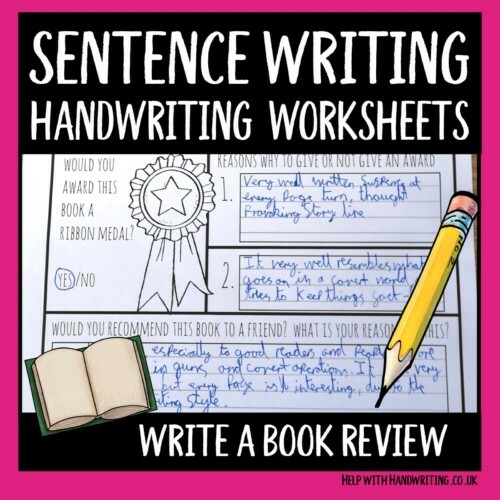 For children who find writing legible handwriting difficult learning how to write frequently used words is a useful tool. 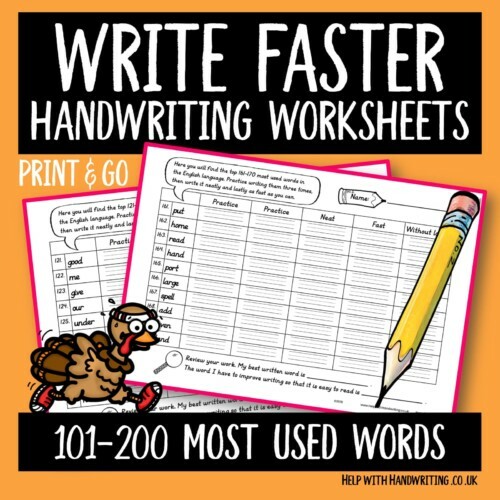 Use these worksheets to practice writing the top 101 to 200 words in the English language. 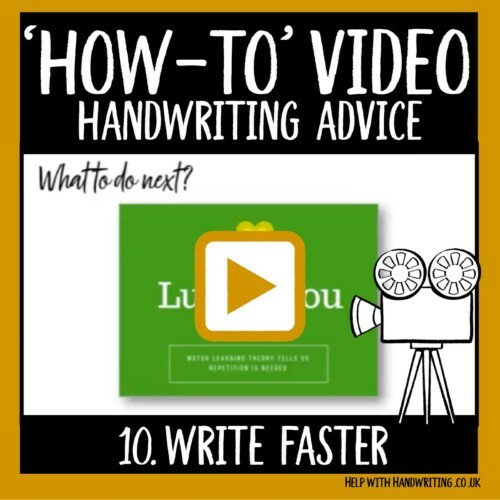 A technique to write faster is to write at a slant. 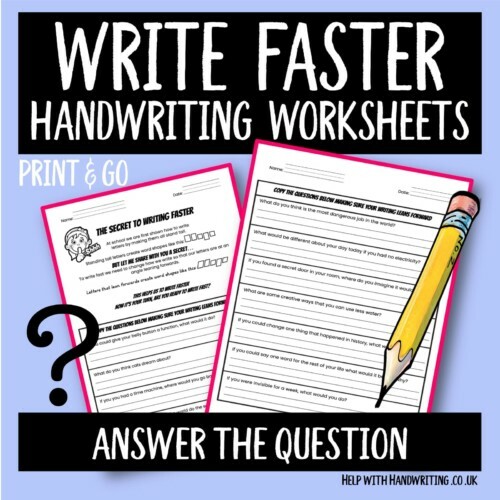 In these 4 worksheets your child is asked to copy various questions. Next they should pick one question to answer in detail and review it using the checklist. Filling out forms is a skill in itself. 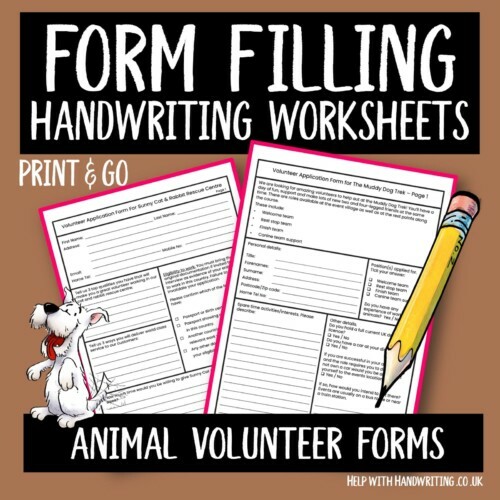 Here are two x 2 page forms helping your child sign up to be a fictions cat & rabbit rescue volunteer or a volunteer to on a muddy dog trek. 4 pages in total. Is your child curious about history and likes learning about the past? 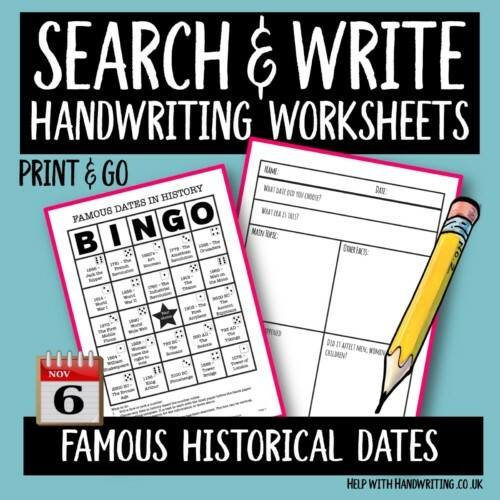 Inside this resource your child will find 24 famous dates to search on the internet and 8 template pages to write about their discoveries. Capture your child’s interest about animals with this resource. 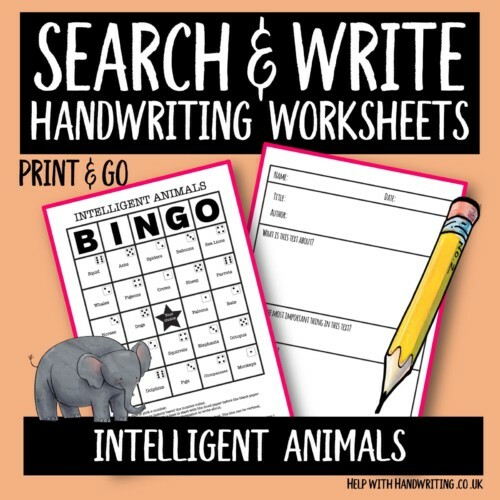 Inside you will find 24 intelligent animals to search on the internet and 8 template pages for your child can to write about their findings. 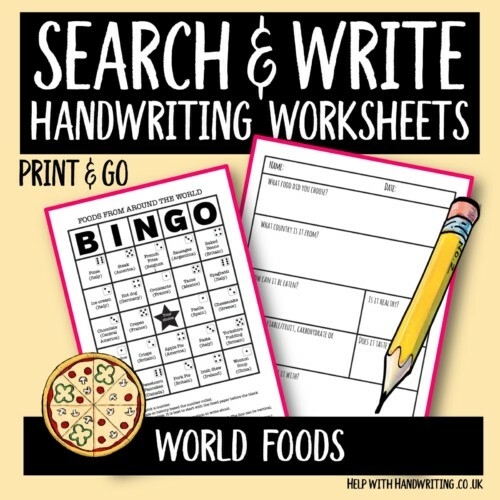 Add extra interest to handwriting by asking your child to search the internet before writing their answers about foods from across the world. This resource has 24 food search categories and 8 template pages.